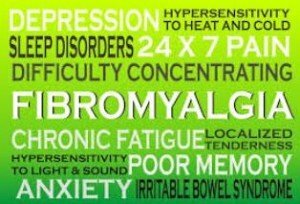 Usually my clients show up in my practice after they have consulted with 5-7 other health practitioners without relief, and have been told “it’s in your head,” “you’ll have to live with it,” or “you’ll have to be on strong medications for the rest of your life.” They are usually seeking something different that works with the natural healing process of the body and offers relief with no negative side effects. My clients are not satisfied with a “life sentence of suffering,” but instead feel strongly that there must be a way to support the re-balancing of their body-mind-spirit system and reclaim health. In my practice I blend Energy Medicine and Natural Health modalities to clear the “root cause” of specific disorders in each unique individual rather than addressing clients with a “one size fits all” approach. The body can more easily reach homeostasis or balance when there is no underlying stress holding it in the dis-ease pattern. -> Access My EFT Radio Show blogcasts by going here . 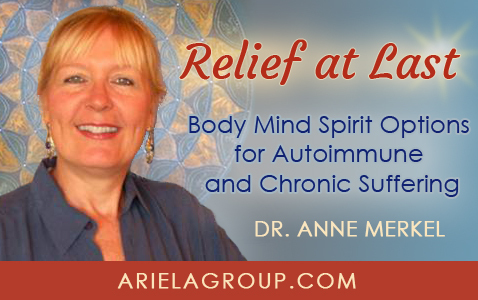 . .
-> Join My Live Autoimmune Coaching & Energy Therapy Support Group Series by going here . . . There are many reasons why signing up for this free group will benefit you just as it has helped others for five years! In addition to reminding you of the radio podcasts mentioned above, when you register you will automatically receive the mp3 recordings from past group calls. You will also be invited to attend or participate in monthly live group phone calls where I coach one individual while all of those in muted attendance receive “borrowed benefits” and have a Q & A opportunity at the end. These are often life-changing calls for both those on the “coaching seat” as well as those participating in the strong MasterMind energy in the background. You will also have the option of being personally coached by Dr. Anne for a discounted price. To learn more or join us, go here. . .
And, for personal support for your own chronic health disorders you may register for personal sessions. I have used Energy Medicine and in my Natural Health practice successfully for many years, and I have learned that each individual is totally unique and requires a specially customized program. For this reason I offer several packages that are tailored for your body-mind-spirit needs. These include in-person private sessions, phone consultations, as well as one to four-day in-person mountain retreat packages. For further information about concentrated retreat programs please go here. One personalized session, extensive history & wellness assessments, e-mail support, plus recording of phone session. Six energy therapy coaching sessions, extensive history & wellness assessments, e-mail support, plus recordings of phone sessions.